Through many studies, it is said that anywhere between 75% of school aged children are unable to tell time on an analog clock. That may seem like a pretty big number but as a mama to school aged children I’d be inclined to believe it. My little ones used to have a BIG issue with reading clocks and back in my school years it was also hard on me too; being unable to tell time outside of digitally is a major issue for many children. Many people, adults included, simply look at their cellular or home computer devices to check time rather than look at an analog clock. I can recall how frustrating it was for not only myself but many of my classmates to nail down the correct way to tell time, when I was in elementary school. It was a test of patience for our teacher but for us kids it was a true trial in itself. Personally, when it came to telling time, my biggest issue was all of the added markings of the analog clocks, with the hours/minutes hands added in. My brain has always had an issue with becoming overwhelmed when too many factors are introduced at once & the old style clocks were just that, overwhelming. These days I still find myself carefully counting the little minute ticks on watches or office clocks but those times are far and few between. My kiddos on the other hand, they still get tripped up at this stage even though they learned clocks ages ago. The difficulty they, along with countless other children, face with time is the reason why I was so grateful to work with Tell Time Fun. 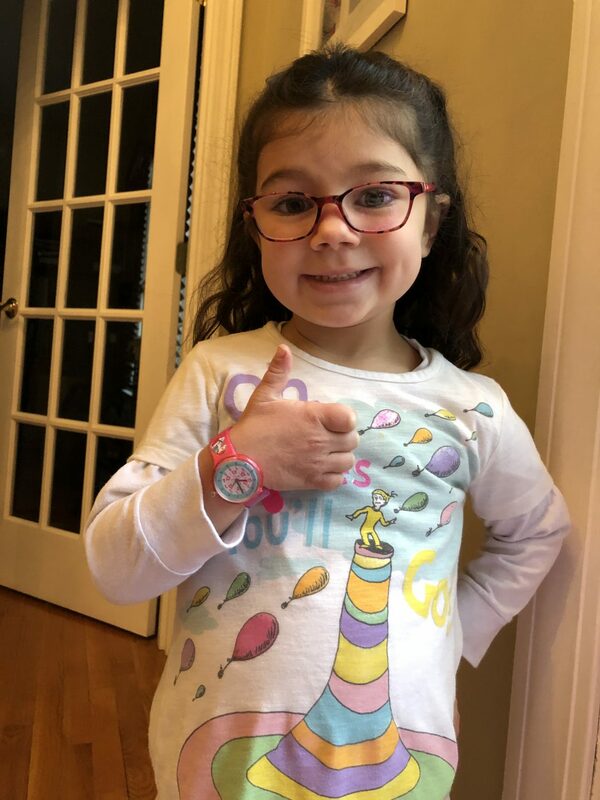 The CEO of this time teacher watch company recently reached out to share with me their product that they hoped would be beneficial to my littles and the journey to becoming pros at telling time. What Tell Time Fun offers to parents are their Smart Early Learning Watches that aim to make telling time a breeze. 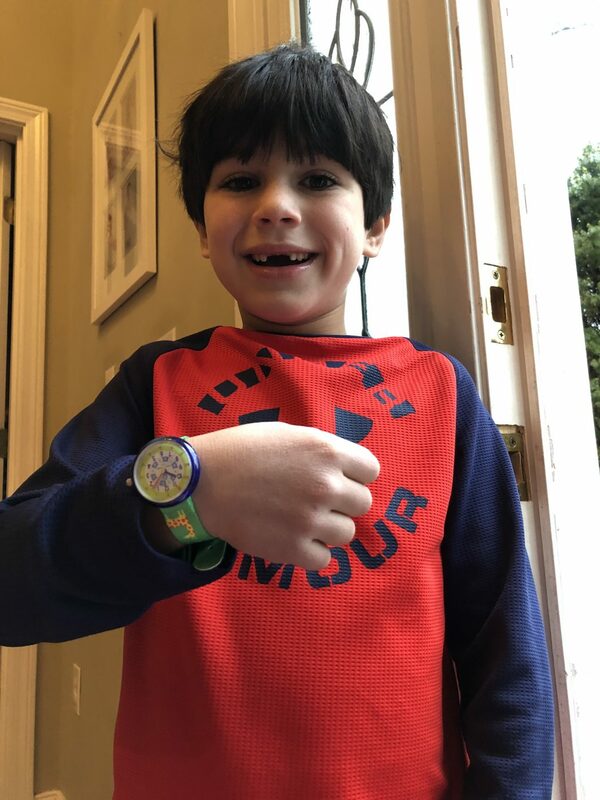 With 6 eye-catching designs that kids will love, these innovative kids watches are easy to read, with intuitive colors, designs and hand locations that make it much easier than other clocks to read the numbers and increments of time. These watches come in two different watch face designs with multiple band themes to choose from, including emojis, animals, cars and more! My time telling was atrocious when I was a child. It got to be such a challenge that I suffered from low confidence in my classes until I got the hang of it. 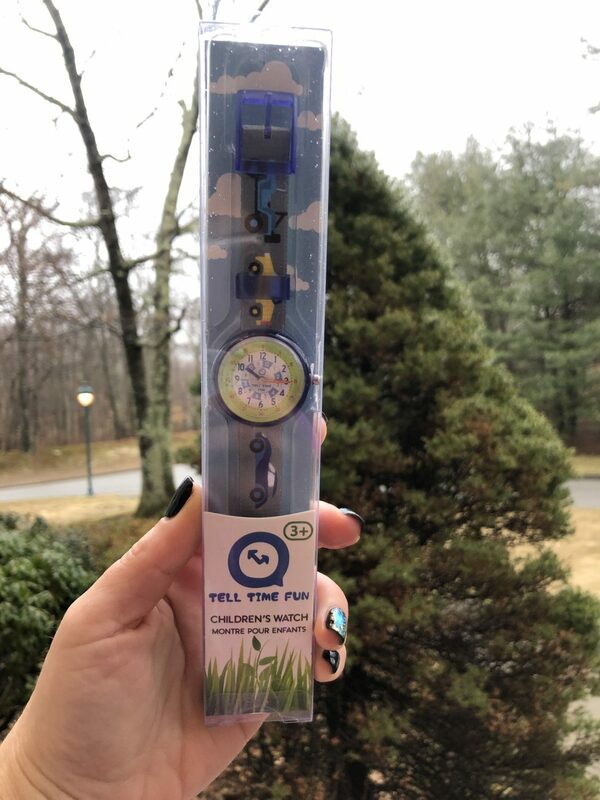 Tell Time Fun not only wants to make learning to tell time easier for kids but also to help boost self-confidence at an age that is crucial to early learning development. Not only do these easy to read, comfortable watches help children be able to easier learn to read an old style clock but they also help to teach responsibility AND how to be on time when sticking to a schedule; for school aged students who need to be at each class at a particular time, being on time is crucial so being able to accurately tell time is super helpful! 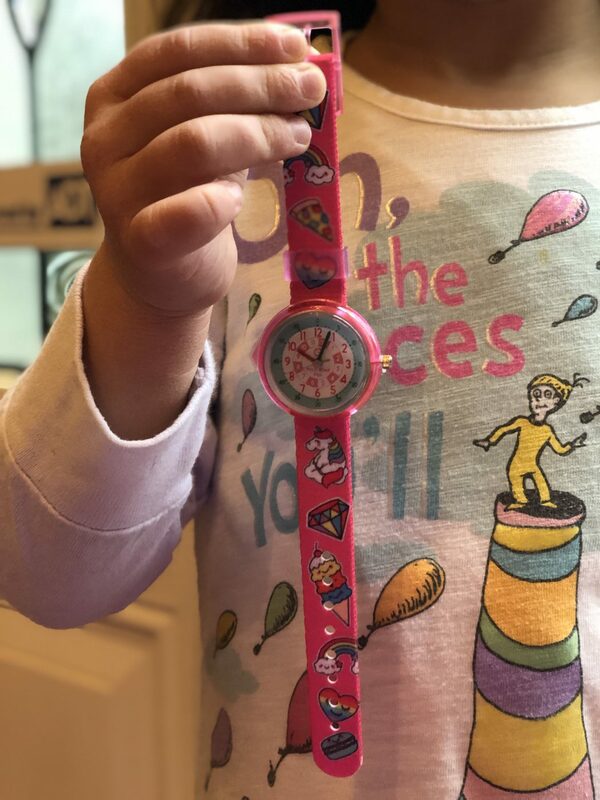 To find out more about Tell Time Fun and their time teacher watch, their many designs and their mission to help little ones become expert time tellers, you can visit them online. I can almost guarantee you’ll fall in love with these simplistic yet adorable and built-tough kids watches and come away with one or two that your little one will love them! Two winner will receive 1 Tell Time Fun Watches, the ultimate time teacher watch. This giveaway is run via rafflecopter so click read more to see the actual giveaway. The only mandatory entry is to visit these watches and tell me your favorite design in the comment section proceeding the post. While the other entries are optional, I highly recommend filling them out to increase your chances of winning. US and Canada only. Good luck! The sassy sheep design is cute. Visited reader appreciation giveaway post. I like the zoo animals the most. I like the Cool Cars. I like the Magical Unicorn design. I love the Sassy Sheep design. It’s adorable! The magical unicorn! Too cute! I love the Magical Unicorn design! This would be perfect for my daughter. The watch designs are cute. We must not neglect teaching time on analog devices in the digital age. The Sassy Sheep is my favorite design. We like the Sassy Sheep one the best! I like Cool Cars for my grandson! I like the Cool Cars design! My daughter is obsessed with unicorns so she would love the Magical unicorns and my son would love cool cars, he loves playing cars! My daughter would definitely love the Magical Unicorns design! My favorite is Magical Unicorn. I like the Sassy Sheep design the best! They are all so cute, my personal favorite is the Fancy Flamingo! I know my daughter would LOVE the Magical Unicorn (as anything “unicorn” is a must have now)! I like the Cool Cars design. I visited SATURDAY’S TOP FIVE LAUGHS- SEE THE FUNNY THINGS MY KIDS SAY! My daughter would love the Sassy Sheep design! My favorite is Sassy Sheep. My nephew would like the Jolly Marine. I love the sassy sheep! Fancy Flamingo is my favorite design. Mt favorite design is Cool Cars. I love the cool cars for my son! I think my granddaughter would like the Zoo Animals watch. Later, we will observe how to write the best classified ads, and discuss how to hold on to an Open House. I think the fancy flamingo is the cutest! Jolly Marine is probably my favorite for my little nephew but several of them speak to me for a gift for all my nieces and nephews. My nephew would like cool cars. If one does this early all of the month, one might be scrabbling around to fill your ongoing monthly outlays. Often, they’re offered for download on an associate site. It is going additional medications . My grandchildren would love the Zoo Animals. My favorite design is the Jolly Marine. Thanks for the giveaway! The magical unicorn design is so pretty. My favorite is the Magical Unicorn. Magical unicorn is my favorite design. Sassy sheep is my favorite. I love the magical unicorn! My great nieces are soooooo into anything Unicorn. So my favorite is the Magical Unicorn!